Ultrasonic cleaning is good, but not (always) good enough. This was our thought when we started BuBclean in 2013. Using our knowledge from the University of Twente, we develop innovative products and technologies for ultrasonic cleaning, which hasn’t seen much development in over 70 years. David co-founded BuBclean in 2013, and is Assistant Professor at the University of Twente. He investigates novel uses of ultrasonic cavitation at the Mesoscale Chemical Systems group. David is an expert on ultrasonic cavitation and its uses for sonochemistry and surface modifications. With vast experience and a long track record in international business development and project management Lea is in charge of the day-to-day operations of BuBclean. Lea joined BuBclean as a Business Partner in 2018 and is enthusiastic about bringing novel ultrasonic cleaning technologies to the market. Jorge has 10+ years of experience in R&D, technical service innovation and project management. He advises BuBclean since 2017 on business development. Bram has co-founded BuBclean in 2013 together with David. Today Bram has a role as a scientific consultant for BuBclean. Physics and Acoustics Medicine, Physics of Fluids Group, University of Twente. 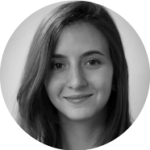 Nuria studied International Relations at the Universidad de Deusto in Bilbo, Spain, and focuses on market research and analysis. Maria majored in Chemical Engineering with an excellent academic performance in Venezuela. 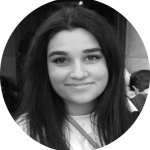 She joined BuBclean as a Scientific Intern in September 2018 and is focused on the investigation and development of potential applications of ultrasonic cavitation based technology valorized by BuBclean in water treatment. Would you like to join this team? Check our vacancies page!